This one day symposium is being organized as a collaborative project between the European Society for Person Centered Healthcare and the CauseHealth Project, a four year research project funded by the Research Council of Norway and conducted from the Norwegian University of Life Sciences (NMBU). 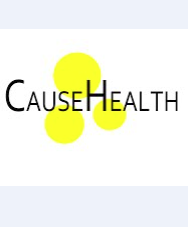 The CauseHealth Project is set to study the increasing incidence of so-called medically unexplained symptoms (MUS) and conditions such as chronic fatigue syndrome, irritable bowel syndrome, low back pain, multiple chemical sensitivity and fibromyalgia. These conditions, and others like them, are reported to constitute 30 percent of the symptoms currently reported to doctors, with each presenting patient demonstrating a largely unique combination of symptoms and illness profile. Typically, these chronic conditions are often depicted as outliers: atypical illnesses where standard causal explanation fails, and not as opportunities to study causation more effectively in order to better comprehend the causes of health and illness more generally. As such they represent a real methodological challenge for medical and health services research. Given the nature of MUS and of co- and multi-morbid, socially complex chronic illnesses more generally, EBM-type clinical thinking has only partial value and it is increasingly recognized that far more complex approaches to the investigation and management of these conditions are urgently required. Indeed, complex disorders are difficult to study and treat because they have multiple causes: genetic, environmental and lifestyle factors (many not yet elucidated) and because each patient presents with a unique combination of biological, psychological, spiritual and social characteristics. It is here that person-centered healthcare approaches, in both theory and practice, retain a vital place in assisting both clinicians and patients to better understand and deal with their illness experiences. In order to debate these issues, and to generate further in-depth insights into the problem of MUS and chronic illness management more generally, the symposium will bring together a wide range of distinguished clinicians from primary and secondary care responsible for the investigation and care of such symptoms and conditions, together with senior academics from the philosophy of science and medicine, clinical psychology, medical sociology of key relevance to this area of clinical practice, health services provision and basic and applied research. The program will soon be available here.